The opening book is made ​​up of the server games (about 300,000), played on ICCF (ICCF) on September 1, 2013. Note : Please download as soon as possible because i don't keep any back up of the things i upload and once the link is dead then i am helpless too. If you like this posting Please Click "thanks"
1-100 as Shown in the picture. 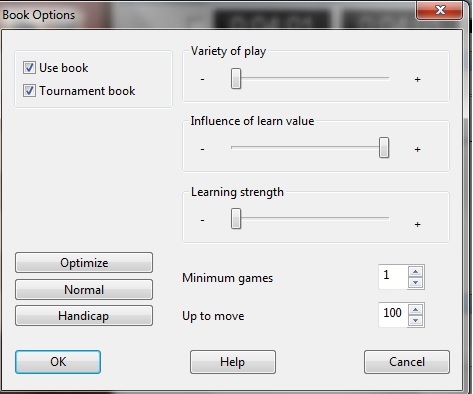 but since I don't have Chessbase I cannot check that, maybe someone else will take a look at the book tree and the percentages of the tree and give us a feedback.